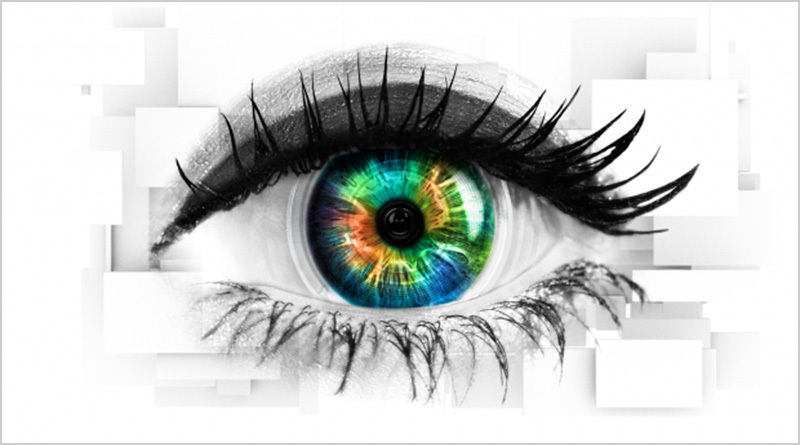 No doubt for some people the return of channel 5’s Celebrity Big Brother (CBB) in January will be the perfect way to banish the post-Christmas blues. The reality show, a spin off from the original Big Brother franchise which first captured the nation’s attention in 2000, will celebrate its 21st series (yes, really) with a “salute to a centenary of women’s suffrage”. In a move which is, depending on your point of view, highly crass and exploitative or historically sensitive and appropriate, the producers have decided to mark the centenary of women’s right to vote by beginning the new series with an entirely female set of contestants. The plan, according to a press release (which of course has done its job and become the object of discussion) is to introduce male contestants at a later date – when a series of tests will “challenge gender stereotypes and reveal fascinating truths about what it is to be a woman – and man – in the 21st century”. Well, good luck with that because if previous series are anything to go by, anything of social or psychological relevance will be lost in an ego contest that will frequently descend in to extreme petulance, exhibitionism and in some cases outright mental breakdown. Which is precisely the sort of thing the show thrives on. It’s most memorable moments include politician George Galloway mimicking a cat on all fours pretending to lick cream from the hand of Rula Lenska, the late Jade Goody subjecting Bollywood star Shilpa Shetty to a racist tirade and comedian and actor Les Dennis sinking into depression live on air after the breakup of his marriage to Amanda Holden. But, even if it is in ever decreasing numbers, audiences have loved the format and the opportunity to see formerly pristine “stars” stripped of the veneer of fame and privilege and plunged into situations beyond their control. Exactly what’s happening at the moment on ITV’s I’m Celebrity… Get Me Out of Here as matter of fact. The first episode of this year’s jungle japery attracted a peak audience of 10.9 million viewers a couple of weeks ago and that’s extraordinary in today’s fragmented media environment. What the figures suggest is that for the majority British TV viewers on a winter week night, schadenfruede, or the feeling of pleasure and satisfaction evident when something bad happens to someone else, is a major attraction. This is a programme that has as its unique selling point the guaranteed opportunity of watching a famous person suffer every night. The various bush tucker trials veer from the horribly unpleasant to graphically horrific and never mind the ‘uses and abuses’ of animals in the name of entertainment. More than this, the viewer has the ability, if they so wish, to vote for the person they want to see endure the most unpleasantness. This process is vital to the show’s success – it means that ordinary people can have a say in the fate of those they may consider to be removed from the ‘real world’. This sort of cosmetic democracy is of course a feature of a number reality shows but only in I’m a Celebrity…are the audience invited, to the glee of the presenters, to decide on who is humiliated and degraded. There is an obvious delight in seeing successful people fail and in ‘Celebrity chav’: Fame, Femininity and Social Class Imogen Tyler and Bruce Bennet write that our seemingly inexhaustible desire for celebrity culture demands increasingly cruel dramas. They draw upon Michel Foucalt’s ‘theatres of punishment’ where we can see contemporary reality TV audiences as similar to the “baying of mobs” of history. Audience participation is key to the success of programmes such as I’m a Celebrity… because, “responses of moral outrage are a crucial component of spectatorial engagement”. In the age of celebrity there are clear hierarchies and those who have fame attributed to them (that is to say, people who have become famous simply by attracting a lot of media attention and have no discernible skills outside of their renown itself) are at the bottom of the ladder and receive the most public disapproval. Mind you, this is not necessarily a barrier to success in the long term – there’s a celebrity in the Whitehouse whose complete lack of experience and expertise in the political arena clearly didn’t hamper his progress. Indeed, as Olivier Driessens asserts, in multiple social fields, such as the political, cultural, or economic, celebrity has become a valued power resource. In terms of Celebrity Big Brother or I’m a Celebrity part of the fascination is in seeing stars in situations where they are forced to “be themselves”. There’s the illusion of reality in what are actually rigorously controlled stages of action. CBB is sold on its authenticity, but in what “real” situations do people coexist with those they have never met before in the same spaces for 24 hours a day? Prison, perhaps? But the contestants don’t receive visitors, they are not allowed recourse to media or contact with the outside world. In these circumstances it’s no wonder tempers fray and hitherto unknown character traits are revealed. But these are the things keep us watching and I suppose in the end we all know its performance and the artificiality of the reality is something we happily accept. With this in mind, it’s a bit rich for the producers of CBB to premise the new series on the battle for female empowerment which involved years of struggle and sacrifice. Then again it’s perhaps not too fanciful to imagine that suffragette Emily Davison, who died under horses’ hooves at the 1913 Derby, as somebody who would have lit up the house. This was a woman who set fire to pillar boxes, was arrested on numerous occasions, went on hunger strike seven times, was subsequently force fed, hid in the Houses of Parliament three times and threw stones at Prime Minister Lloyd George. She also, reportedly, attacked a vicar with a whip and hid a carving knife in her skirt.